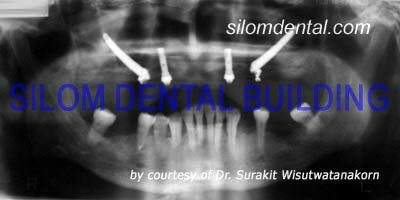 Dental Implant Clinic Bangkok, Thailand. Successful prosthetic rehabilitation of patients with severe bone resorption in the maxilla is often compromised by the inability to obtain sufficient anchorage for the prosthesis. Such patients seek a permanent solution that involves minimal surgical procedures and reduced treatment time, without sacrificing their expectations of success. Today, the most common way of treating such patients is with grafting proceduces are currently being used with widely varying degrees of success and no clear consensus among surgeons as to the expected results. The development of the Zygoma implant presents a unique alternative for rehabilitating the severely resorbed maxilla, with only one surgical procedure and without the need for grafting. The dentist makes a first examination and takes x-rays. The radiographic examination of the resorbed frontal alveolar bone of the upper jaw is performed. 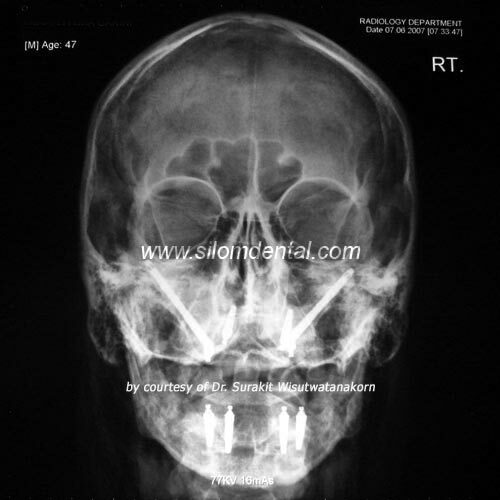 to detect pathology in the maxillary sinus. to evaluate zygomatic bone valume. to determine the topography of the anterior wall of temporal fossa and/or the presence of concavities. to estimate the tickness of the alveolar process to the maxillary sinus in the premolar region for bone support of the Zygoma implant. 2. surgery and implant installation: The step is surgery and installing the Zygoma implants, ensure that the implant is guided along the correct path of insertion through the sinus. 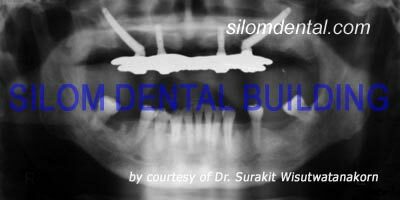 A week or so after, the permanent implant bridge can be fixed to the implant. Your new teeth should blend in perfectly with the others. People will find it hard to tell the difference. 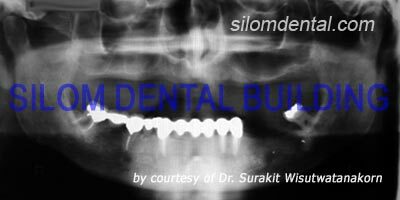 Copyright© 2004 SILOM DENTAL BUILDING. All Rights Reserved.